Home > South Australia’s power system: a crisis or a canary? In recent months, South Australia has witnessed some remarkable changes in the electricity system. 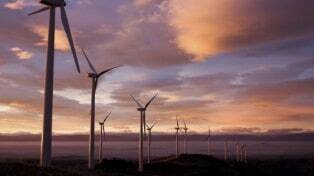 Already S.A. is the state with the highest per capita penetration of wind and solar technologies. 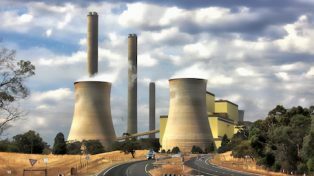 With Northern Power Station shutting down, S.A. Becomes the first mainland state to become coal free. Combined with Pelican Point out of operation and the main interconnector to Victoria being constrained with upgrade maintenance, S.A. saw market volatility and high price events not seen for many years. S.A. is a world leader in terms of integrating renewable energy into the grid, but these recent events have put a spotlight on the challenges that come with this transition. What needs to happen next in S.A.? Will storage technologies smooth the system or will solar thermal find a place? Perhaps the link to Victoria’s stable brown coal generators will keep the system secure, but does that negate the green credentials? Dr Don Russell was appointed as Chief Executive of the Department of State Development on 1 July 2014. From 2011 to 2013, Dr Russell was the Secretary of the Commonwealth Department of Industry, Innovation, Climate Change, Science, Research and Tertiary Education. Dr Russell was previously Independent Chairperson of State Super, a role that he held from January 2008. 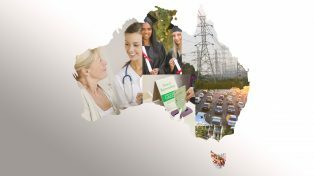 State Super is a $38 billion fund that manages public service defined benefit schemes for the NSW State Government. Until March 2010, Dr Russell was the Global Investment Strategist at BNY Mellon Asset Management Australia. BNY Mellon is a global investments company. He has a PhD from the London School of Economics, a MEc from ANU and a BEc (Hons) (First) from Flinders University. Don also holds the Chartered Financial Analyst designation (CFA) 2007. Jo De Silva is a member of the Australian Energy Regulator’s Consumer Challenge Panel and a Senior Policy Officer responsible for energy and water policy at the South Australian Council of Social Service (SACOSS). Jo is also Convenor of the National Consumer Roundtable on Energy and a member of the Energy Consumers Australia Reference Committee. Since commencing these roles, Jo has contributed to a significant number of policy, legislative and regulatory processes. Jo’s previous experience and her current roles have provided her with good links to a number of consumer organisations, the Essential Services Commission of South Australia, AER, AEMC, AEMO, government departments, Members of Parliament and their staff. Jo’s previous work experience includes Economics and Social Justice Adviser to Australian Greens Senator Bob Brown. Andrew Stock brings over 40 years experience in senior management and executive roles in energy businesses, spanning traditional energy suppliers and emerging energy technologies and renewables. He is a present and past Director of numerous energy companies, a Board Member of the Clean Energy Finance Corporation, and Chair of resources and energy Institute Advisory Boards and the University of Adelaide and University of Melbourne. He was the founding National President of the Australia Business Council for Sustainable Energy (now Clean Energy Council) and has served on CSIRO’s Energy and Transport Sector Advisory Committee as well as other research and energy advisory committees to the South Australian Government. Andrew is also currently a Councillor with The Climate Council.